Good morning all of you wonderful peeps! I’ve pulled out all the stops for the card I’m sharing today. These beautiful papers are from Maja Design and were the inspiration for the dreamy color scheme. Altered chipboard creates a doily effect. Must add alllll of the flowers. These beauties are from Petaloo. Perfectly coordinating shimmery ribbon peeks out from behind the arrangement and helps to fill in the corner. This pretty shabby styled key hangs from an additional bit of the ribbon and is topped off with a button. I’ve dresses the sentiment with pearly accents and a tiny clip. Sequins are the final finishing touch and add pretty detail….but since they are clear it’s a subtle effect. Really Reasonable Ribbon~Shimmer Satin in Pearl Pink. Just popping in to share a sweet and simply styled greeting card today that would be so perfect for a house warming, or anniversary, or wedding. I’ve gathered elements from the Vintage Blessings Collection-Bits and Pieces from Simple Stories and layered them up to create a charming little arrangement. This paper is Cedar Lane from American Crafts. I just had it in my stash and I was so thrilled with how well it coordinated. I’ve topped off the arrangement with a small cluster of die cuts and secured them with the Tiny Attacher. Last but not least a small sprinkle of coordinating sequins. Hey there Peeps! 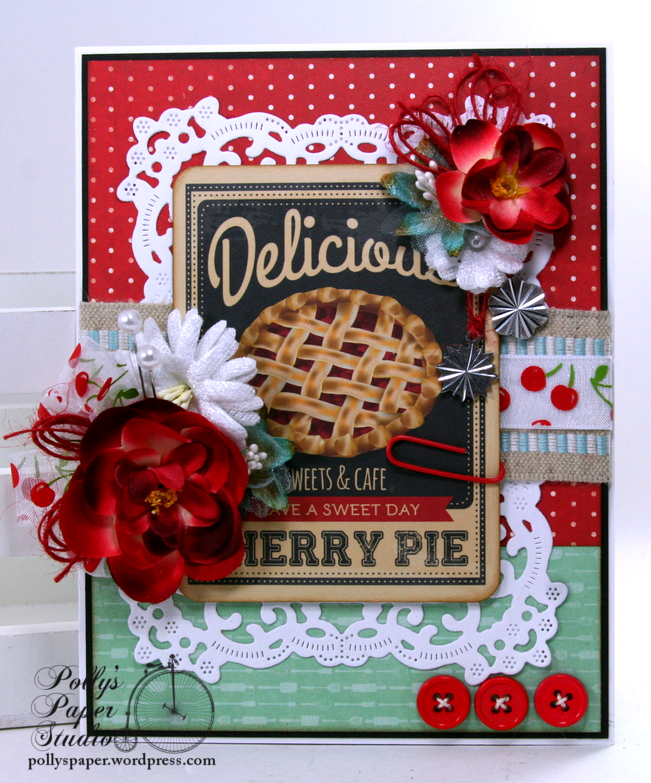 Just dropping in with a greeting card so full of homespun country charm. Yellow is not always my go to color…..but I’m quite please with it this time paired with warm woodsy brown. Since it’s a countrified card, I’m adding burlap flowers and twine for a natural texture. Of course I added other more stylized flowers too to complete the arrangement. This chevron ribbon makes the most perfect bow and topped off with the fancy brad, it’s just that much more awesome. I always like the inside of my cards to be finished to coordinate with the outside. If one die cut doily is good……then two must be better right? Last but not least a little clip and this card is ready to make someones day! Really Reasonable Ribbon~ Champagne Chevron Stripe on Twill, Ivory Burlap String. Hey there Peeps! Well just dropping in after a busy weekend of activities and home reno projects. Sometimes you have to go back to work to get some rest lol. 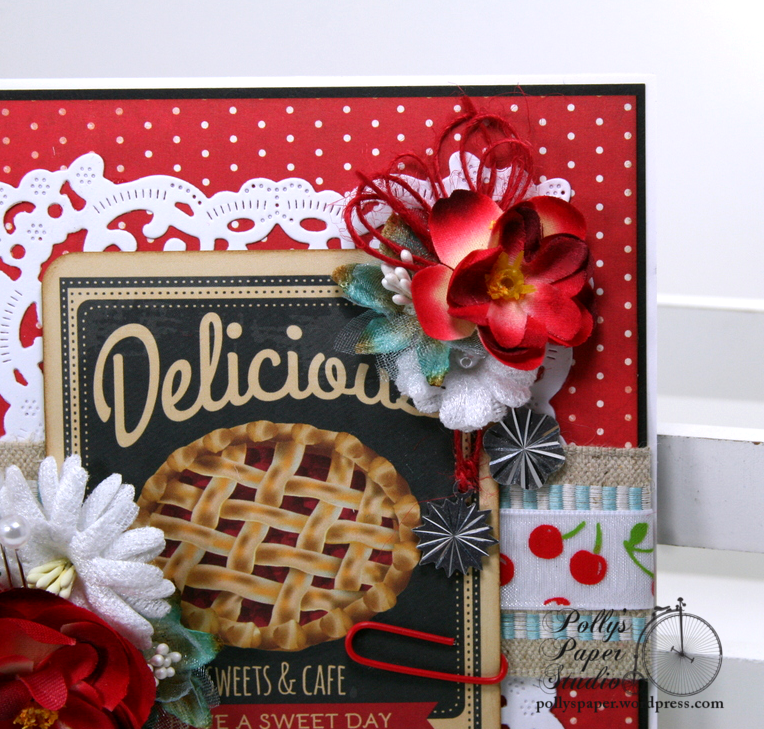 I’ve got a sweet little all occasion card to share with a lovely sentiment and lots of great layering. 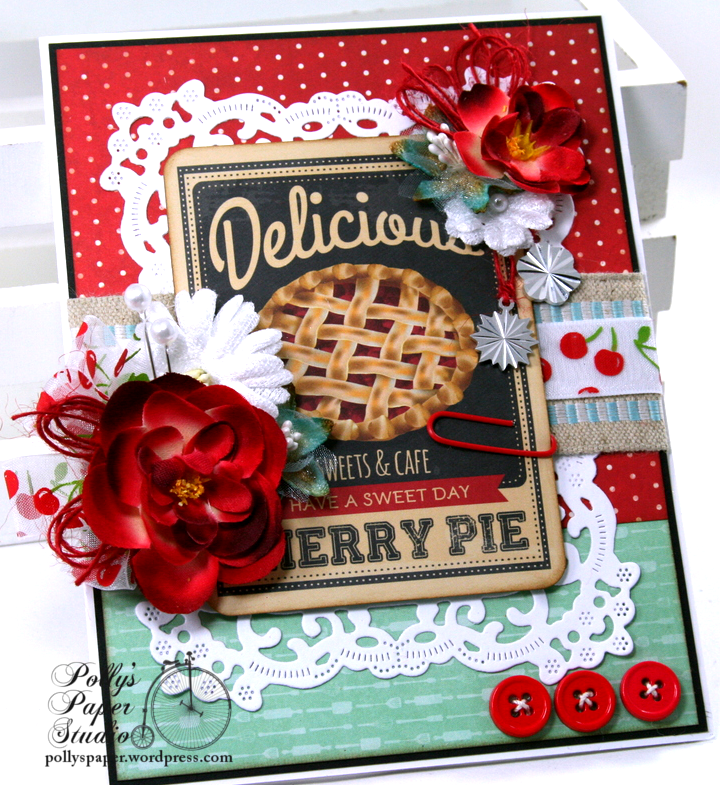 I used dies with a stitched border detail to create the background here and it give such a nice texture. 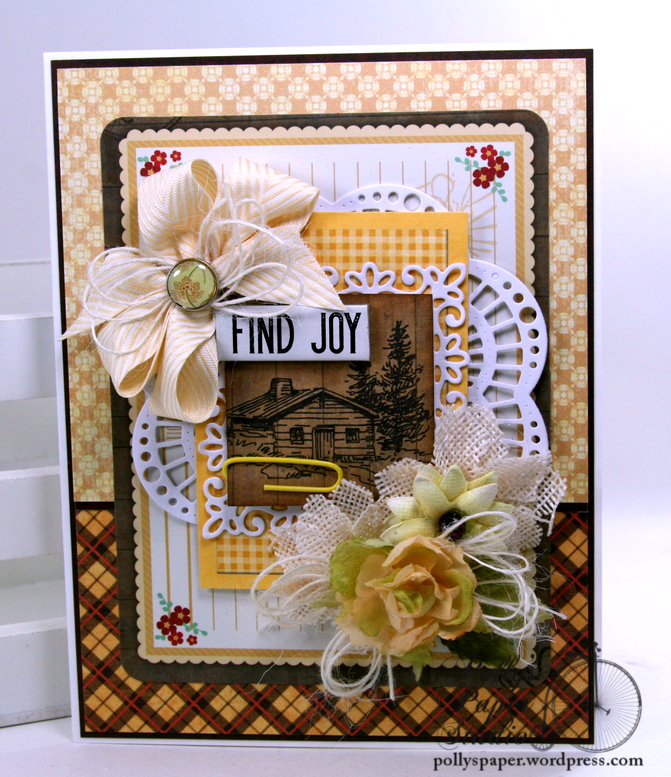 The sentiment is layered over a printed doily and banner die cut. These flowers are so dreamy and coordinate perfectly with the color scheme. I added borders of rich chocolatey brown cardstock to anchor the light colors and topped the card off with a petite bow and pearly accents. Hey there Peeps! Well despite the fact that I am not ready to give up on summer yet the nights are getting cooler and the trees are taking on their autumnal hues. 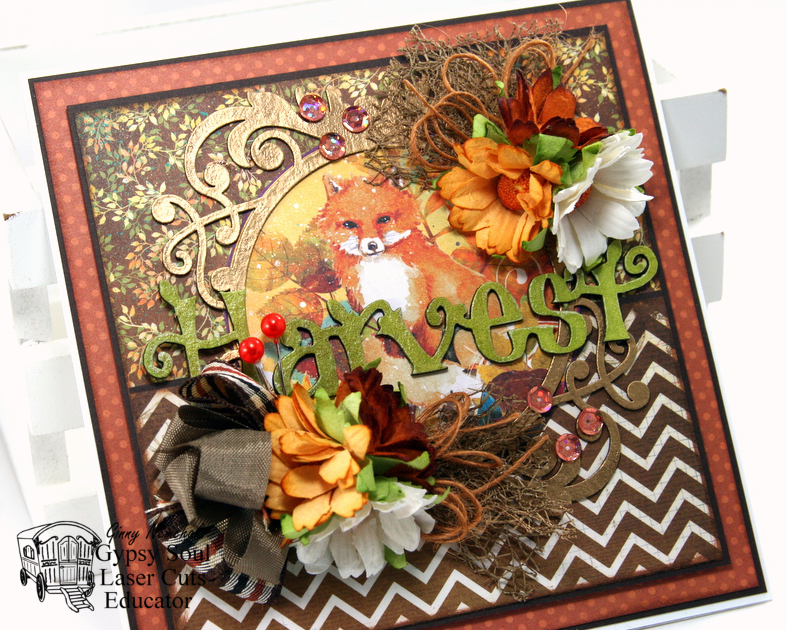 I created this card with thoughts of brisk walks in the crisp leaves and hot cider and warm doughnuts. 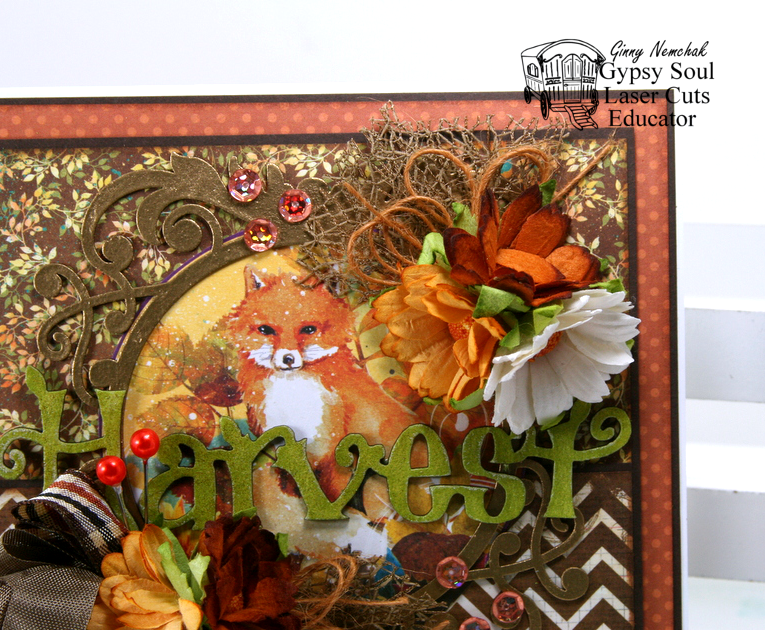 I chose the frame chippie to give a finished border to the fox image. 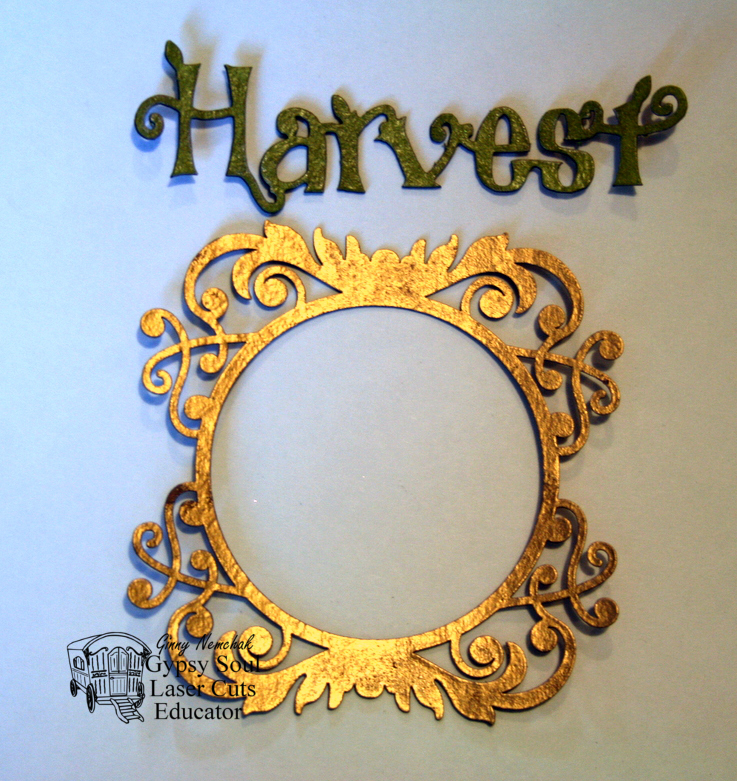 Once I decided to alter the frame with antique gold embossing powder I knew it would be the perfect base for the Fall Harvest sentiment. I pulled the chartreuse color from the beautiful leaves in the image and I think it makes a wonderful accent. Netting and flowers and ribbon and twine create a generous arrangement and helps to bring the fall colors to the outside edge of the card. I added more of the flowers to the top being careful not to cover too much of the chipboard frame. Pearly headed stick pins in a warm pumpkin color and coordinating sequins add the perfect not too flashy finishing touch. 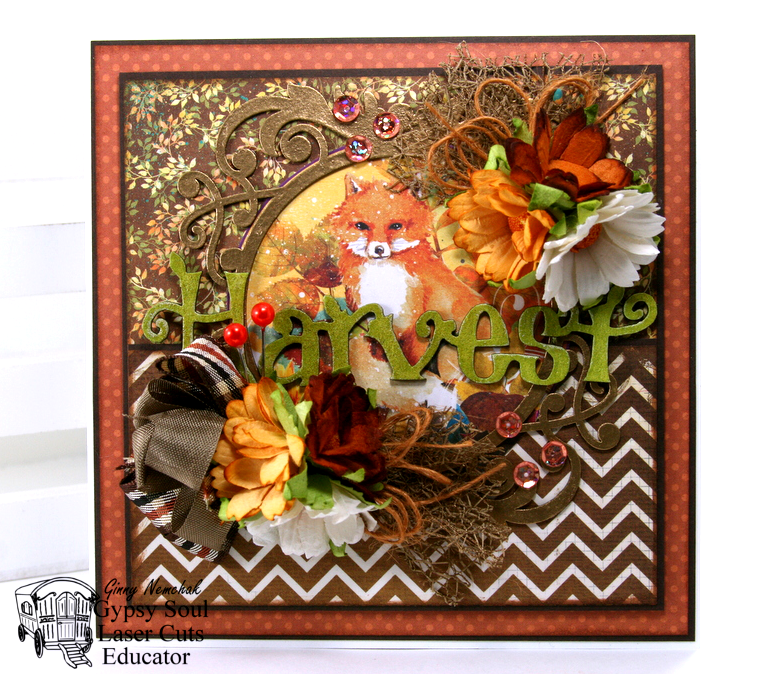 I used the Flourished Frame Marie in an antique gold embossing powder finish and the harvest sentiment from theFall Shapes Set in a rich chartreuse embossing powder finish and heat set them to create a warm and welcoming accent to this Fall-Thanksgiving Card. Hey there Peeps! Well it’s no secret that I love all things retro and vintage. This card is created with fun and whimsical patterned papers and image paired with perfectly coordinating ribbons from RRR. There is so much retro happening here!!!!! Aqua and red are a classic combination. These ribbons are a match made in heaven for this iconic image. 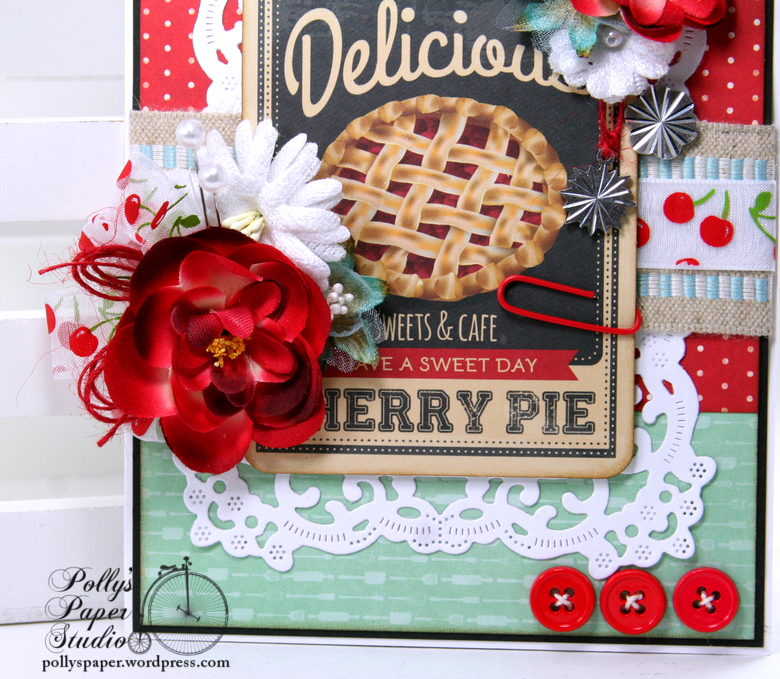 A little tip when selecting sheer ribbon….this adorable ribbon with cherries was totally washed out when layered over the burlap so I just added it over a nice clean white so the cherries are crisp and really pop. As with the ribbon…this focal image was a bit lost on the busy patterned papers so I just layered it over a doily die cut in white and now it’s really the star of the card. 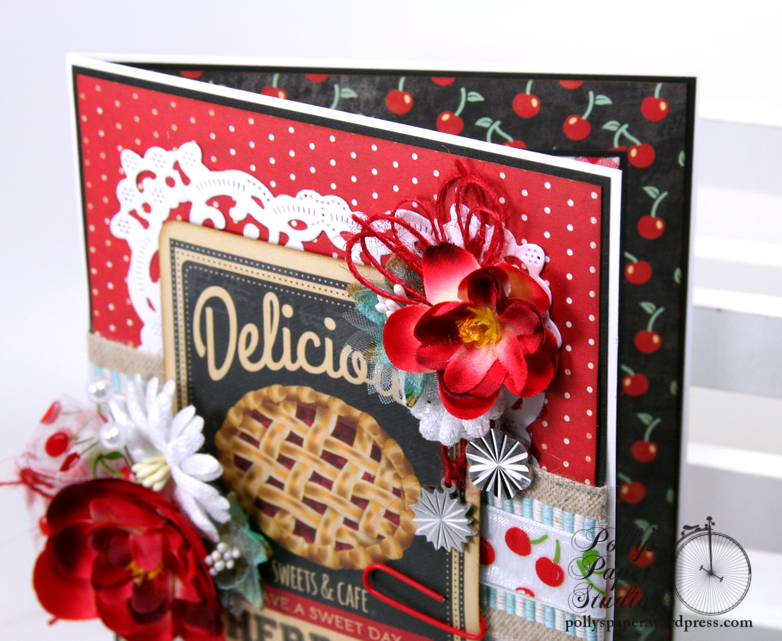 Since I was on a roll with the cherries…I added it to the inside of the card as well. Loads of pretty flowers, buttons, clips, pins and silver metal charms work so well with the theme so I added them all!!!! Really Reasonable Ribbon~ Natural Burlap with Wired Edge Light Blue, Sheer Cherry Red, Burlap String Red. Hey there Peeps and welcome to another fun hop with Really Reasonable Ribbon. 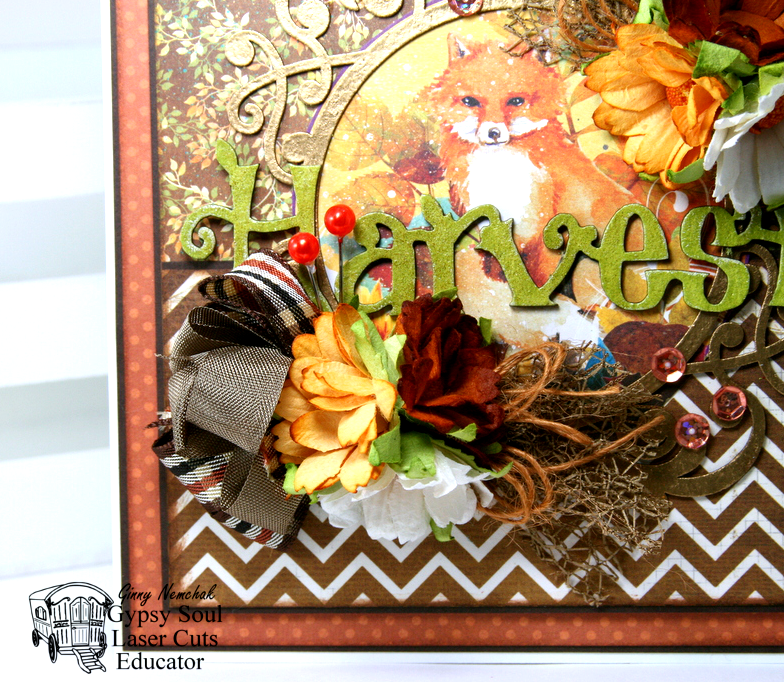 We’re using the Autumn Harvest Ribbon Club Assortment. You should be coming to me from Gloria. If you’re just joining in you’ll want to go to the Really Reasonable Ribbon Blog to start at the beginning. 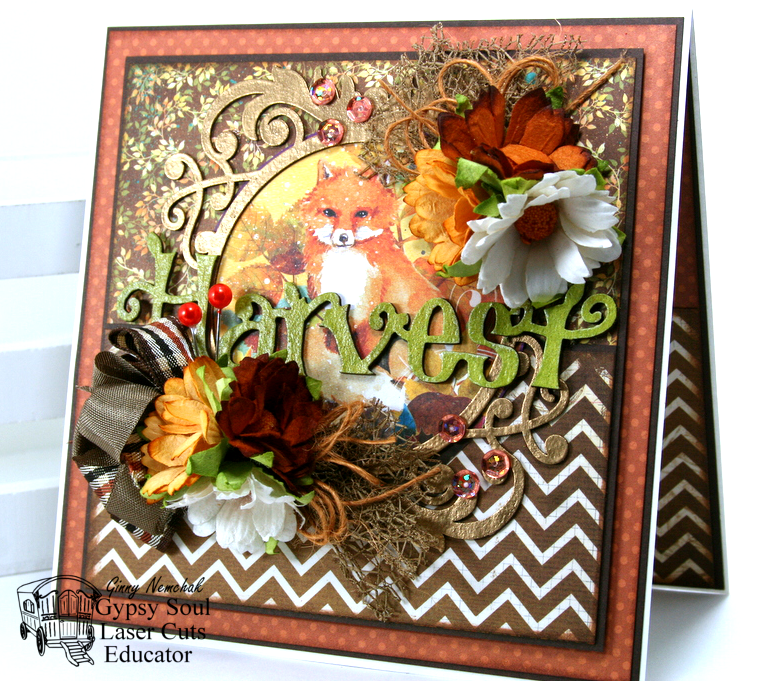 I’ve created a harvest pocket with tags…. Along with the Ribbon Club Assortment I used Cottage Roses, Sweetheart Blossoms Orange, Sweetheart Blossoms Brown, Mulberry Leaves Brown, Burlap String Brown, Burlap String Antique Gold, Magnolias, Bronze Leaf Charms. The next stop in the hop is Judy.